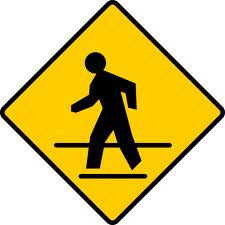 Call to action: crosswalk enforcement Reviewed by Edgeville Buzz on August 9, 2010 . I am a resident of Edgewater and a member of the EBNA block club. I appreciate all the work you do to keep our streets safe. I recently learned from Alderman Mary Ann Smith’s newsletter that CPD plans to expland enforcement of crosswalk laws city-wide. May I ask that you strongly consider monitoring the crosswalk at Broadway and Balmoral with your efforts? This is a location where at least one pedestrian has been hit in the last year or so. It is impossible to cross as cars drive very fast and pedestrians are crosing a wide road. In addition, Borman Playlot is located at this corner and many families with children utilize this crosswalk. I know that my block club, including it’s President Killian, along with the President of the neighboring Lakewood Balamoral Resident’s Council Kate (both CC’d on this email) support a sting at this intersection. Please let us know if there is any other info we can provide, and whether or not this intersection can be included in future crosswalk stings.